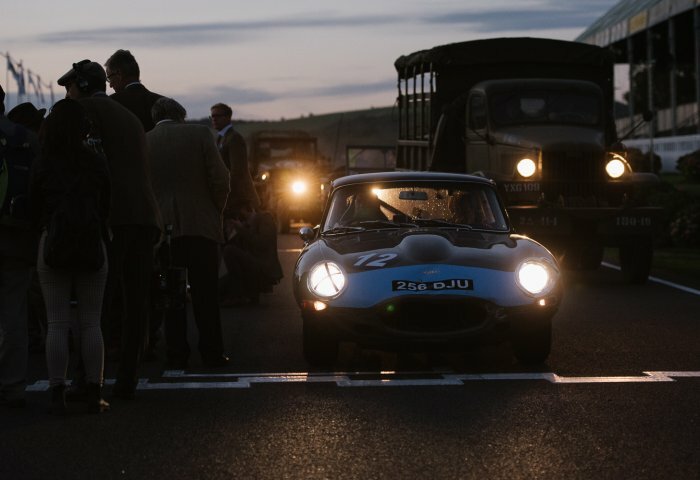 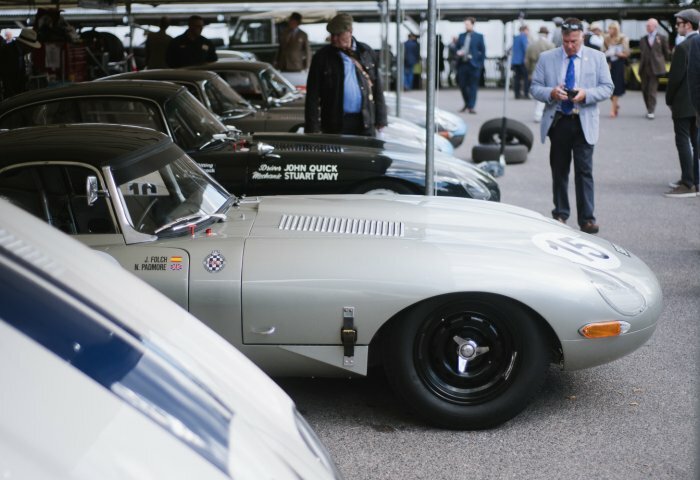 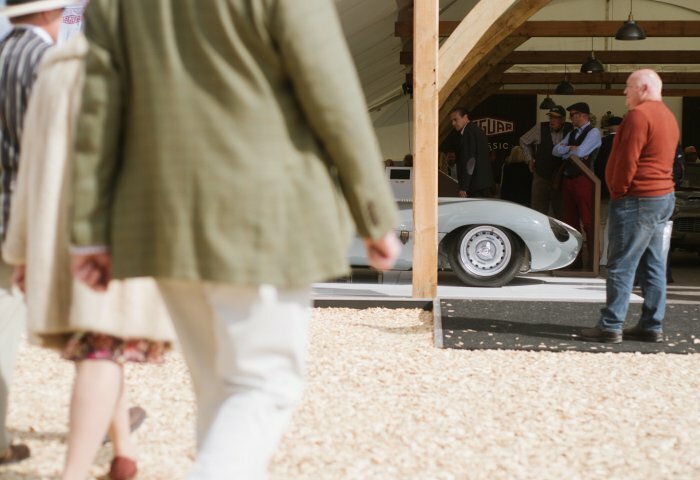 There are some moments that remain etched on our brains forever, and it's funny how these events tend to be a little more frequent at the Goodwood Revival. 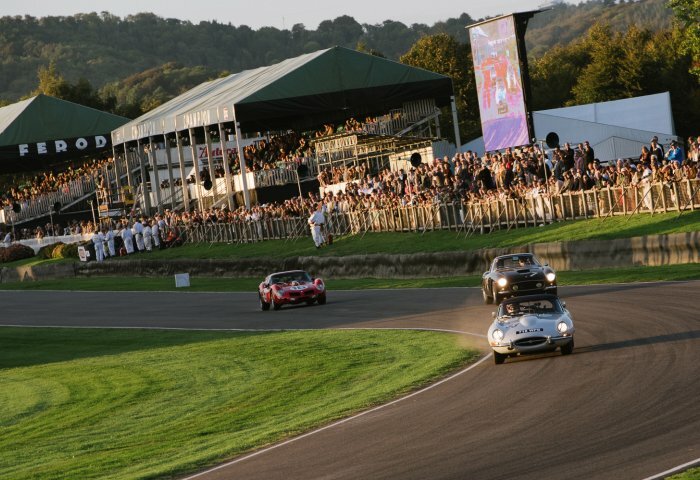 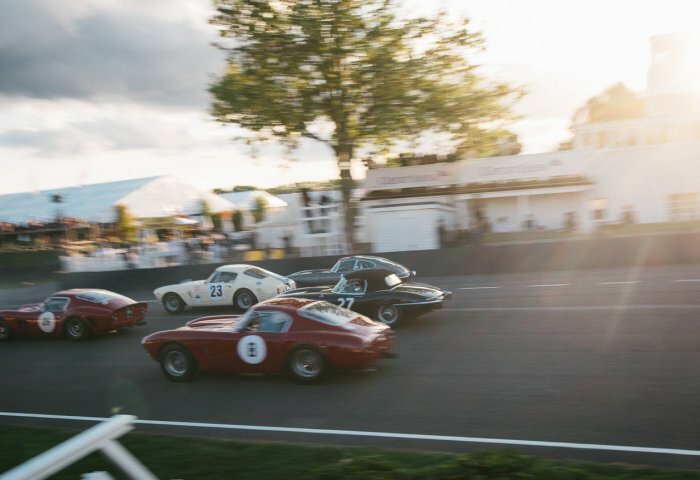 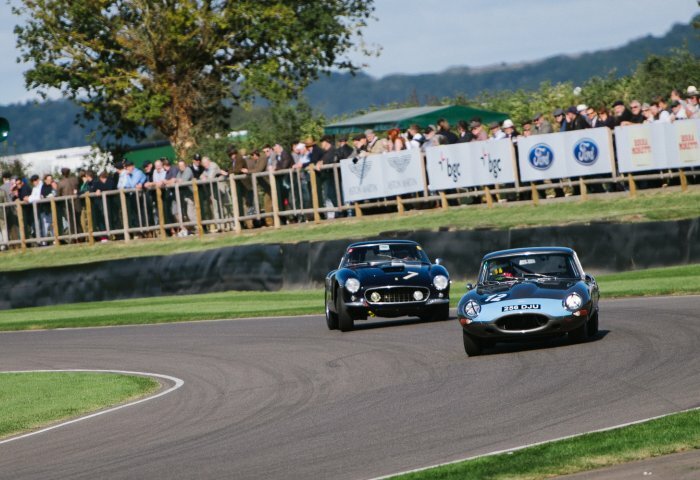 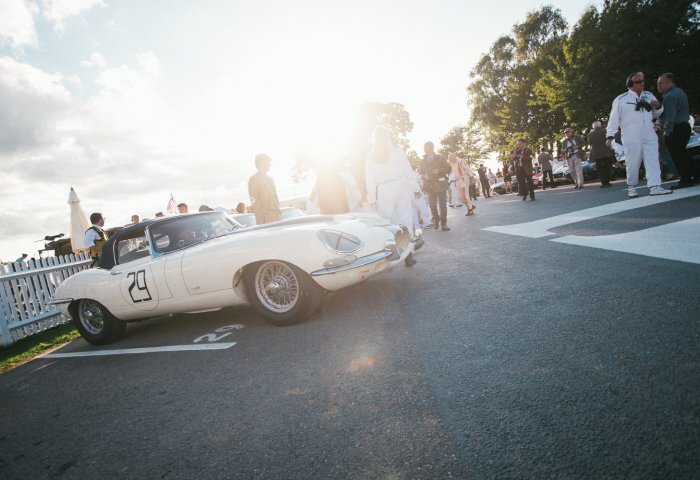 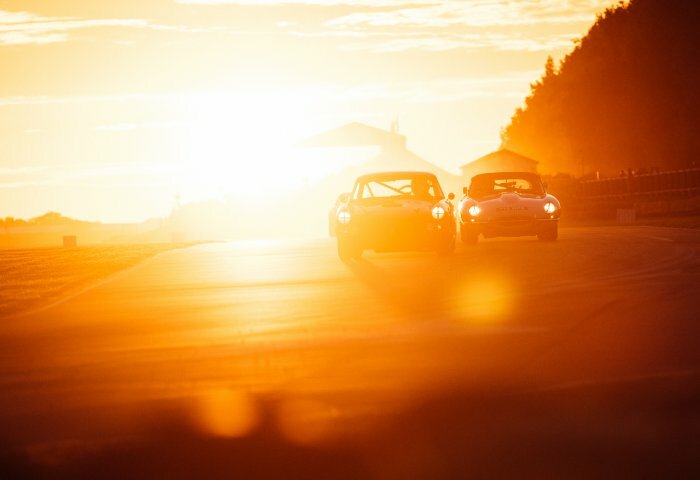 Picture the scene - it's a warm autumn Friday evening, and a field of over £200m worth of classic racing cars are forming up, eagerly anticipating the start of the Kinrara Trophy. 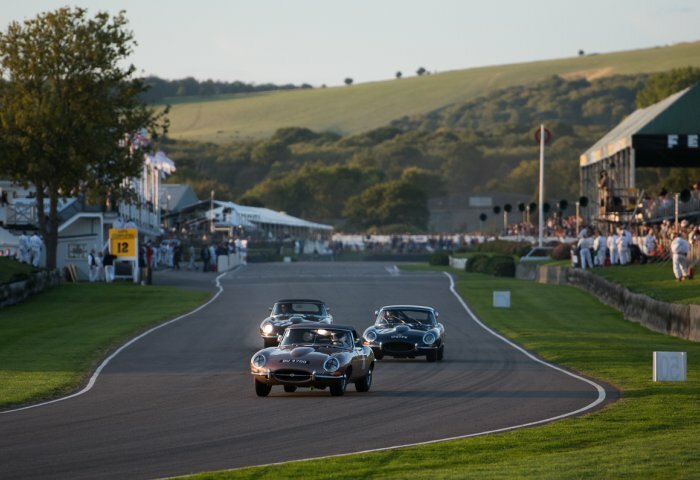 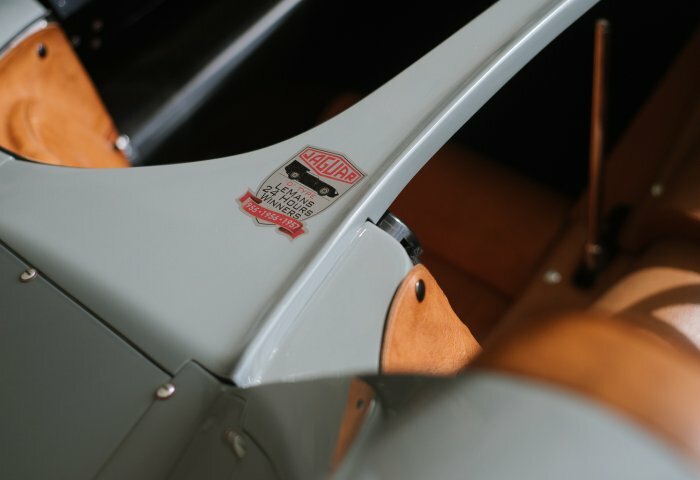 Engines are revving and all sorts of sounds eminate - throaty V12s from the 12 Ferrari 250 SWBs and trio of 250 GTOs, and straight sixes from Aston Martin and Austin Healey. 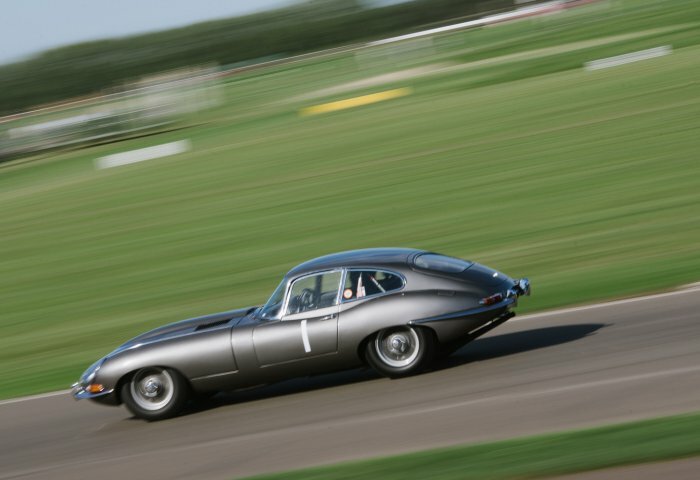 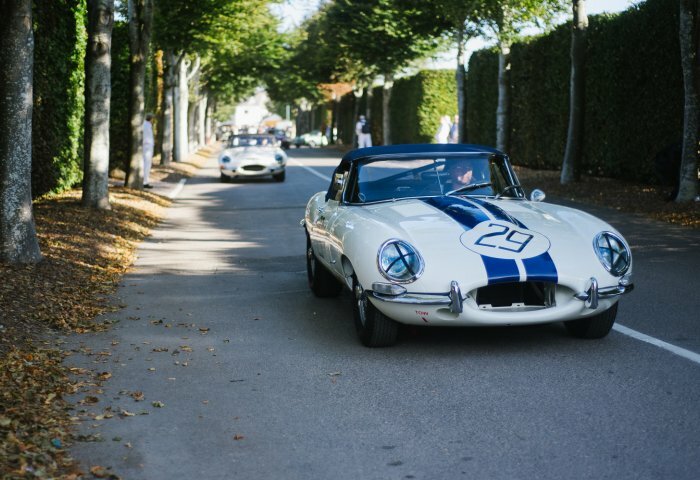 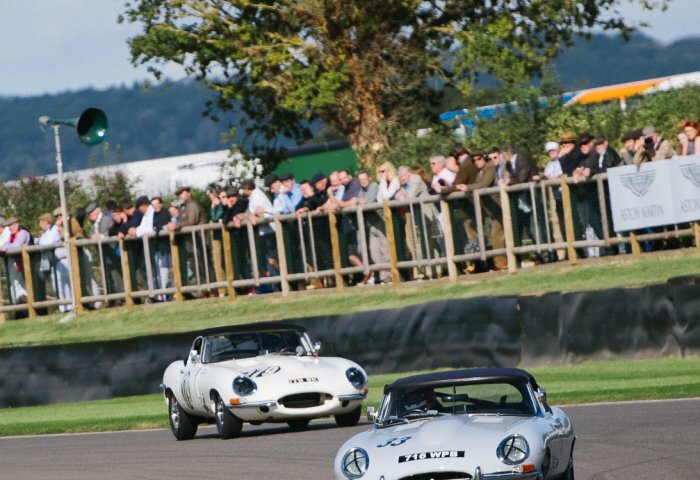 But mixed in are a swathe of angry Jaguar twin cams, bellowing from a range of seriously prepared E-Types. 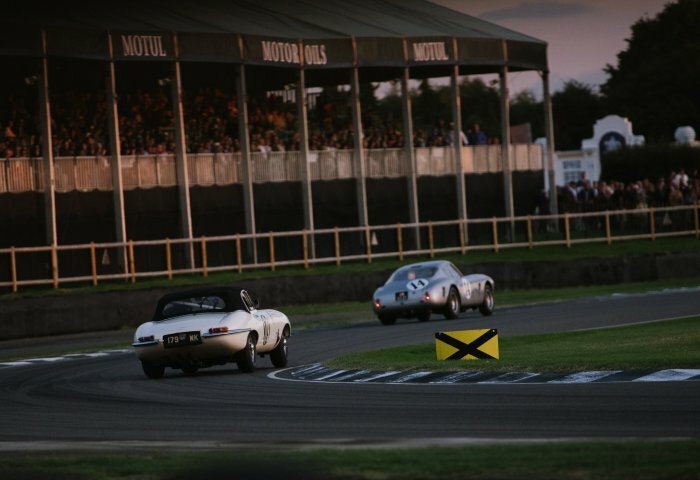 The flag drops and the cars sprint towards Turn One, and early on it becomes clear that the race is between two main protagonists - the Ferrari 250 GT Drogo 'Breadvan', and a rather serious E-Type convertible. 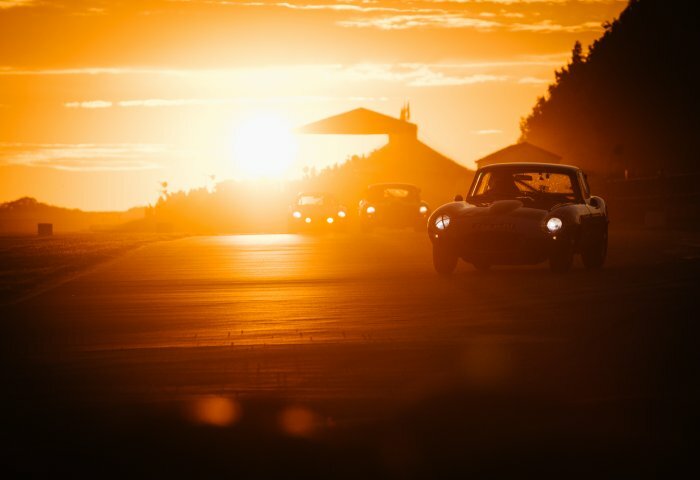 Lap after lap they slide and slither, dicing for position as the sun sets into a golden haze behind them. 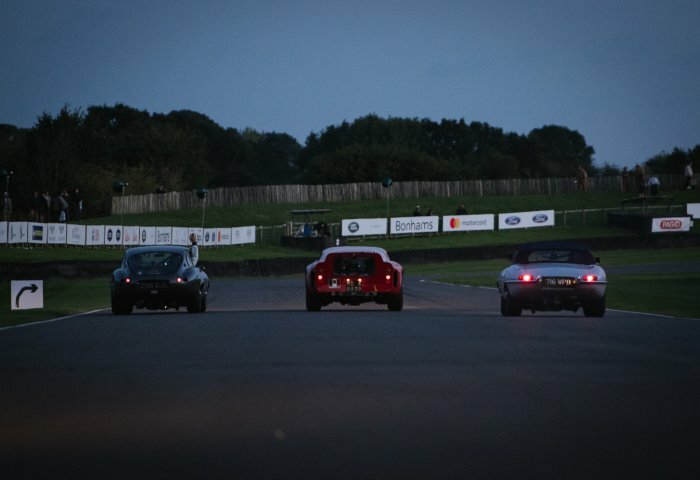 After an hour of racing it is almost dark, and the chequered flag waves, signalling an end to contest. 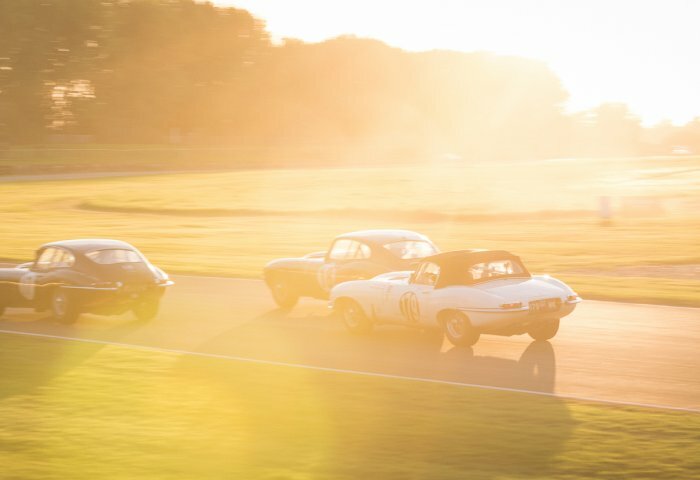 The cars stop on the track, some battered and bruised, all dirty and bug splattered. 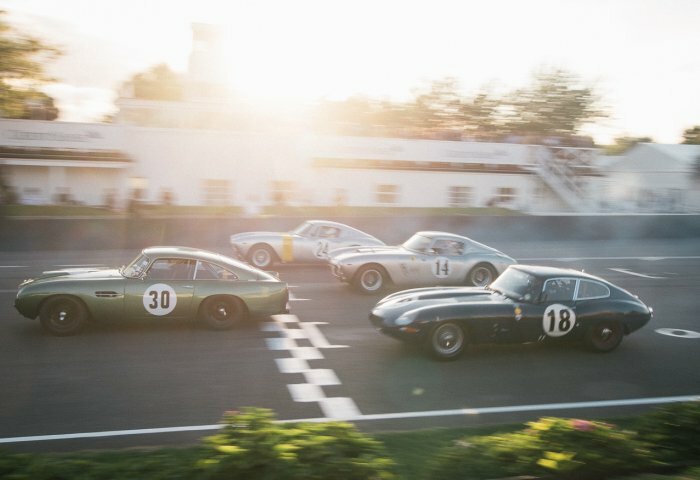 Trophies are awarded, and the victors puff on celebratory cigars. 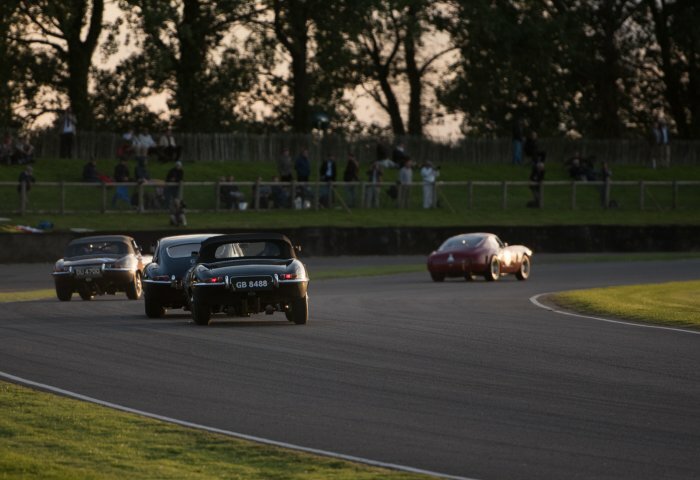 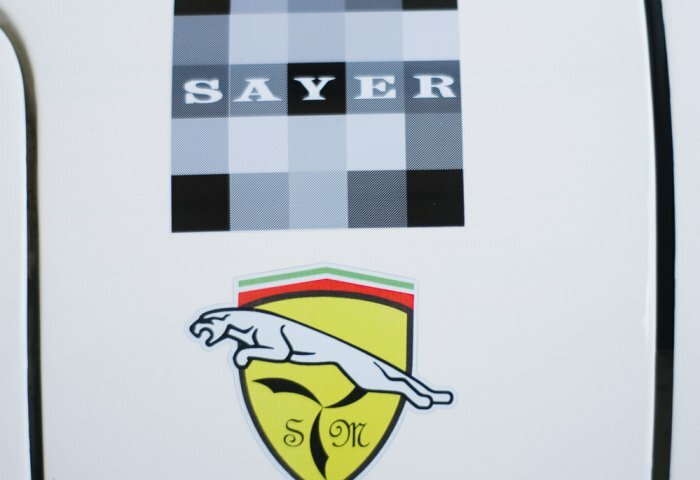 The big Ferrari has won this time, but the plucky Jag did not go unnoticed. 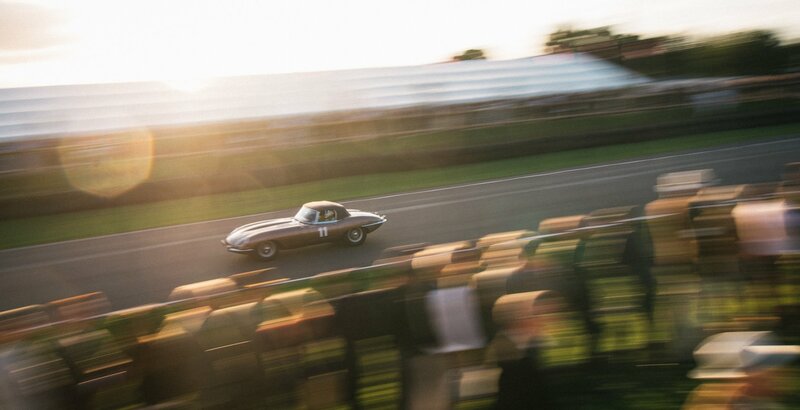 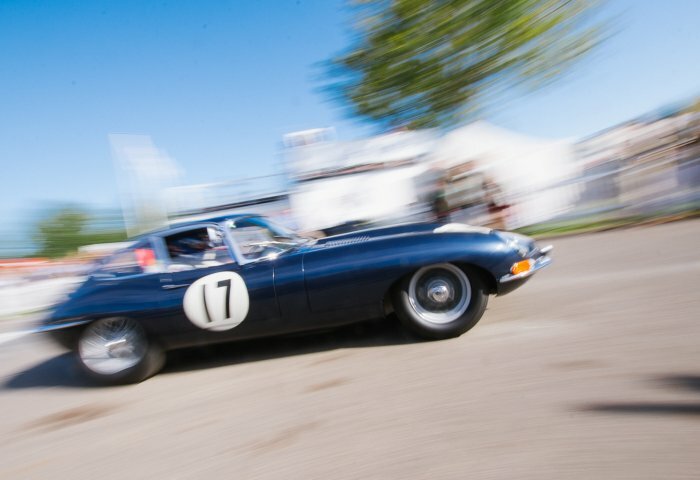 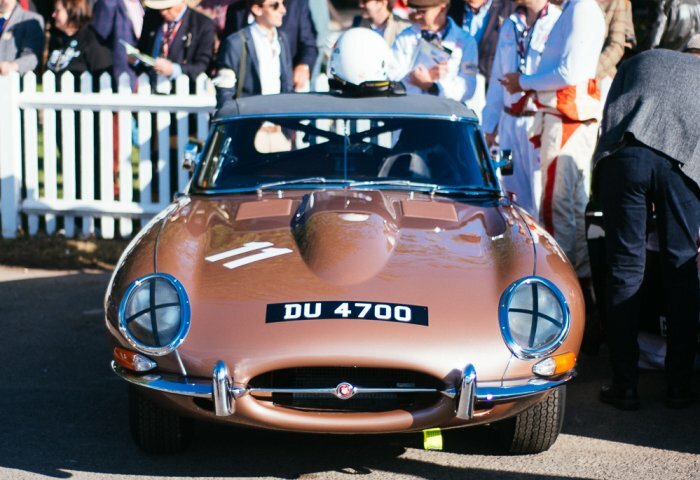 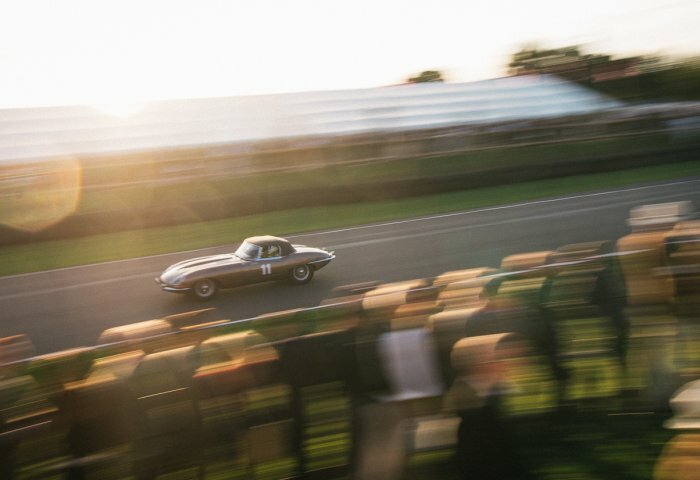 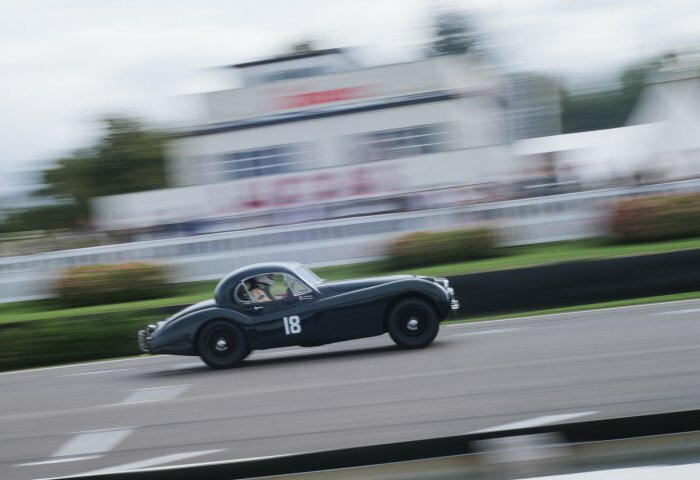 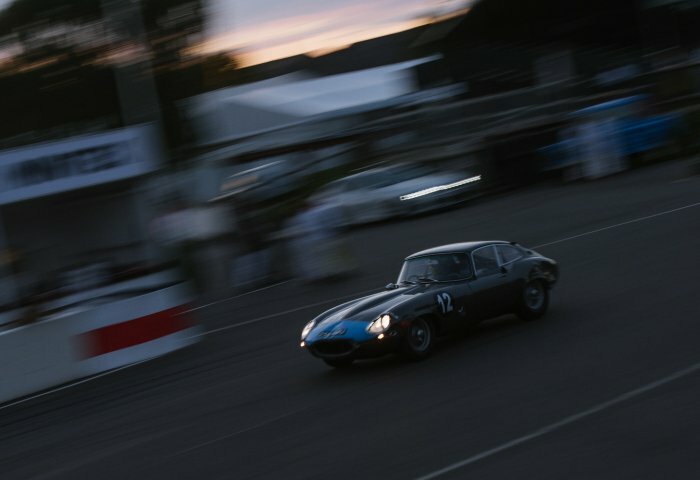 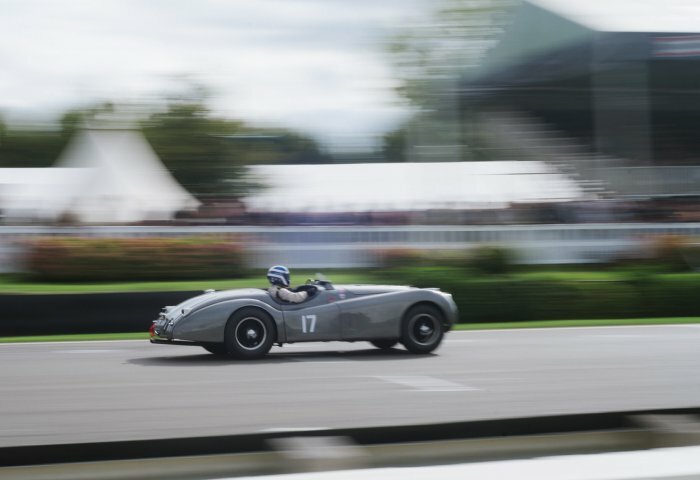 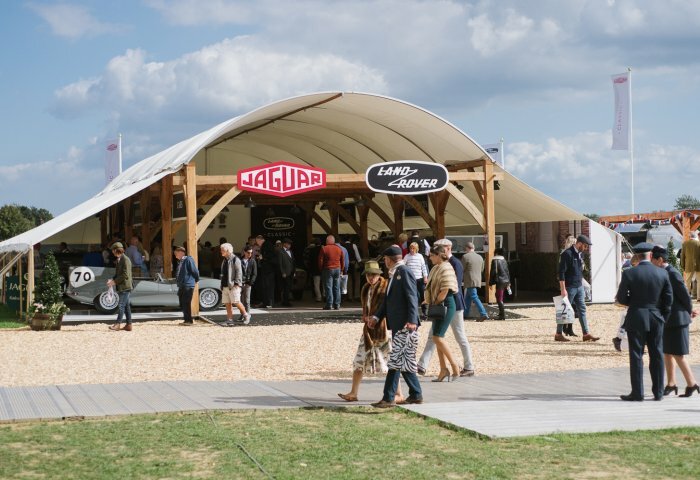 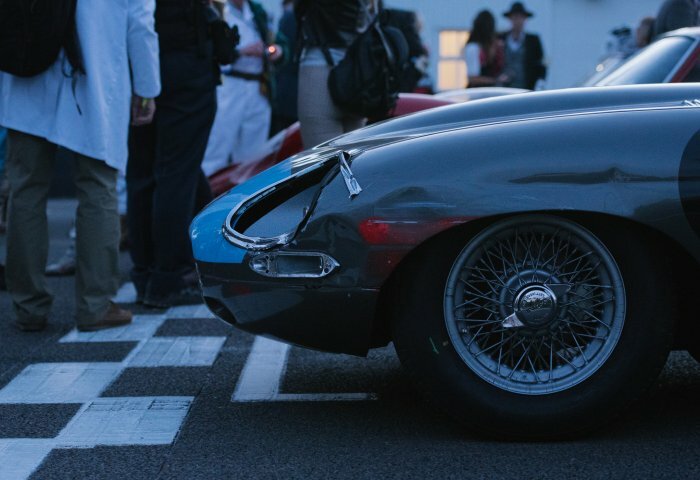 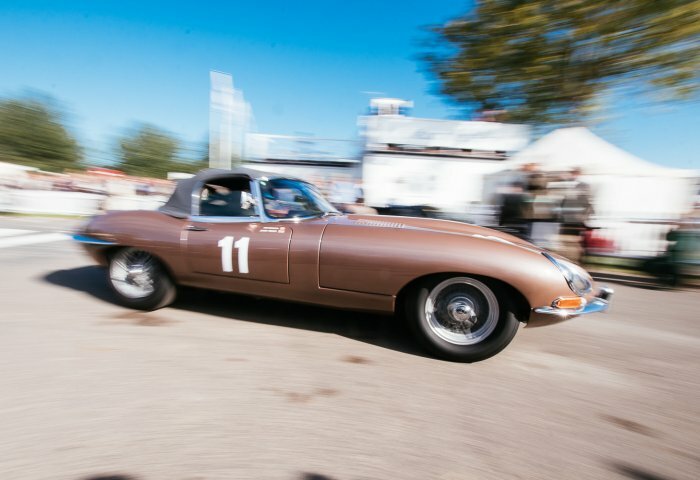 This is just one of the many iconic Jaguar moments from the Goodwood Revival - and here are a few others, captured forever in photos. 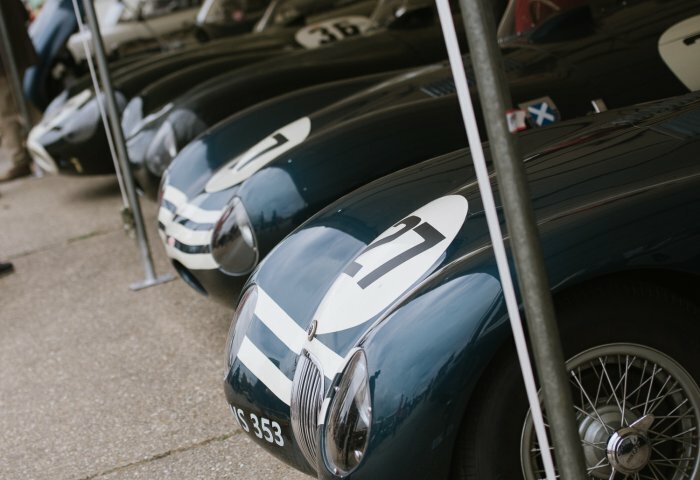 By signing up you will receive from us: Event and Club information, Information on the latest Club products, special offers and services and information on member benefits. 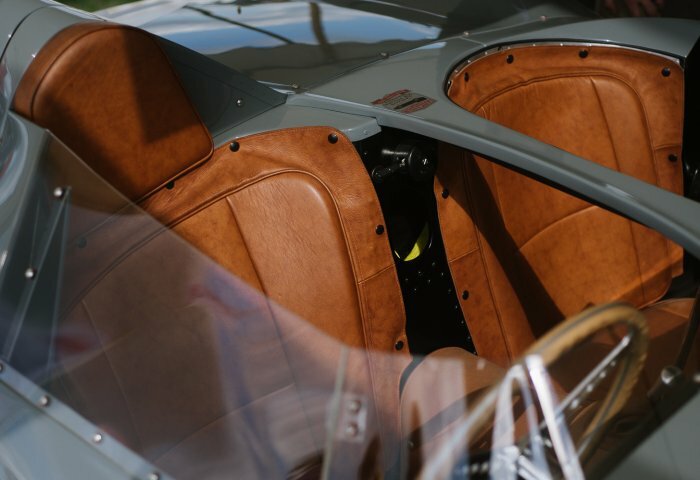 We may use information you provide us to predict what communications you might be interested in receiving. 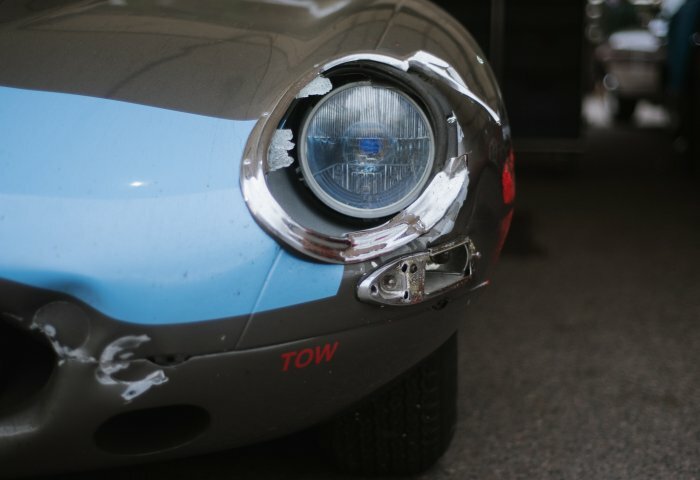 You can of course unsubscribe at any time, details are in every newsletter.